Robert De Niro used an expletive to refer to Donald Trump at the 72nd annual Tony Awards in New York on June 10. ‘Out of control,” “unhinged” and “downright mean.” A description of President Trump? Not this time. In my recent voter interviews, these are phrases that voters across the political spectrum have used to describe the Democrats. Democrats have tried many messages. But only one has stood out with the voters I’ve interviewed over the last 18 months: “Stop Trump.” Is that enough to inspire people to vote against the president? Only about 20 percent of the voters I speak with weekly say so. For the rest, resistance is just not enough to excite them. Last summer, the Democratic Party rolled out a message called “A Better Deal.” Nine out 10 of the voters in my interviews had never heard of it. They hear nothing but negativity, and most believe it has gotten worse recently – that the liberal resistance led by the Democratic National Committee, the media, and Hollywood, has gone from outrage to hysteria, and from logical counterarguments to juvenile behavior and pigheadedness. Old school civility is a lost cause with Trump, along with any pretensions of respecting differences of opinion and perspective. Americans were taken aback when Samantha Bee used a vulgar insult to describe Ivanka Trump. The negativity peaked, however, during the weekend of June 10. First, television commentator Bill Maher said he hoped for an economic recession because it was the only way to get rid of Trump. 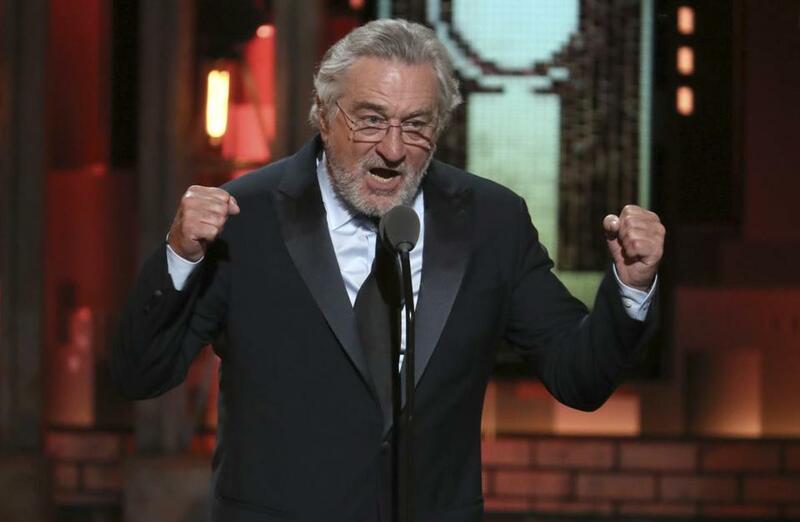 Then, actor Robert De Niro dropped the f-bomb to bash Trump at the Tony Awards. The video of De Niro’s attack — and the standing ovation that followed — went viral. The following day, voters in my online community reported that they saw cable news pundits call Trump’s meeting with North Korean leader Kim Jong Un “a train wreck in the making,” “a naive move,” and “merely a reality show with no substance.” Even as these two events were happening, billionaire Tom Steyer launched a new series of ads featuring regular Americans who, like Steyer, want Congress to start impeachment proceedings. Although this was an ad, paid for by a private individual, many voters perceived it as yet another part of the negative message. Democrats — whether on TV, in Congress, or running for office — have a choice. They can snort that the North Korea summit was a joke — or they can wish Trump well in his historic meeting with Kim Jong Un, even as they express skepticism about how he’ll pull off what he has promised. 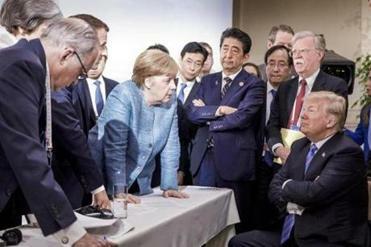 They can shout that Trump is a pathological narcissist who needs to be impeached — or they can criticize the substance of Trump’s actions: his border policies that have resulted in separating children from parents; his contempt for the Paris accords, the Iran Deal, and the G-7 summit; his trade policies that could hurt American companies; his undermining of the Affordable Care Act. They can wring their hands and hope for a blue wave, or they can create and communicate an array of fresh solutions to our most difficult problems. From the point of view of voters across the country, shouting and cursing are drowning out any reasoned analysis, turning people off and sending them back to Trump’s corner. There has never been a time when we more badly needed thoughtful, innovative ideas and policies from our leaders and our institutions. We have children at the border who need our collective action, and we have three-fourths of our population living paycheck to paycheck. Giving a standing ovation to De Niro’s crude attack does little to address the problems. It may feel great. But it’s not going to win elections for the Democrats.